Would be grateful if someone could post. Thanks! Yes, it's on here somewhere. Saw it years ago. I think I've seen the clip before - or some version of it - here on COH. But I've never seen the article that accompanies the clip. It's pretty well done. Love the quotes from George. CINCINNATI -- Want to get a glimpse of what newborn Alexander Clooney may look like? 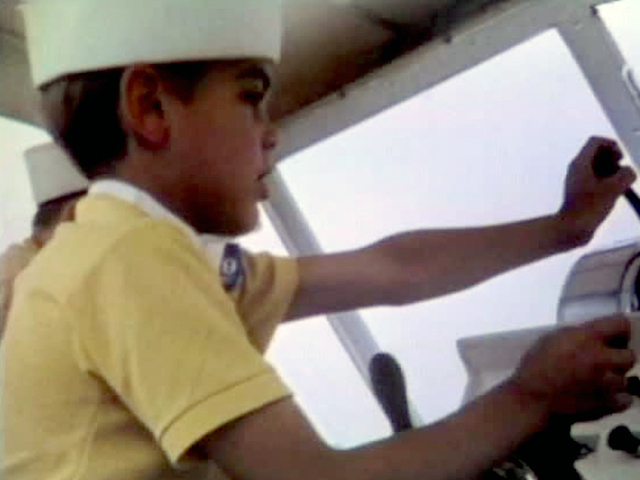 Take a look at young George Clooney himself in his television debut. Long before "ER" (or "E/R," which is totally different), George appeared on the small screen on the Uncle Al Show on WCPO. 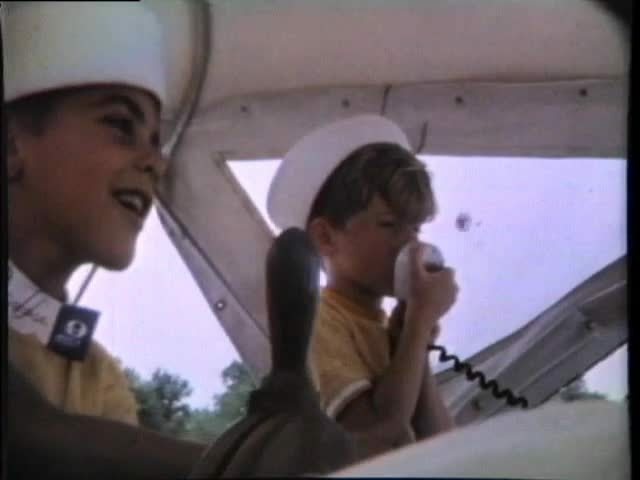 The episode, filmed in 1971, showed 10-year-old George and three other children visiting Al Lewis' boat on the Ohio River. Of the two boys in the episode, George is taller. He even got a chance to steer Uncle Al's boat. The WCPO Vault holds this exclusive piece of George Clooney history because George's father, Nick Clooney, worked at WCPO starting in 1969. He hosted "The Nick Clooney Show" on WCPO and WLWC in Columbus for several years. Nick, his wife Nina, daughter Ada and son George lived in Greater Cincinnati for much of the children's early lives. When Nick was working at WCPO -- and later, WKRC -- Ada and George lived in Mason, where they attended St. Susanna and Western Row Elementary. George also briefly attended Blessed Sacrament School in Fort Mitchell. He told Esquire magazine that he was an average-ish student. "I was a much better student than I thought I was. I had all A's and a B. So that's not so bad," he said. The Clooneys were a strict, Irish-Catholic family, George told Larry King in Feb. 2006. "Yes, we were Catholic, big time, whole family, whole group," he said. "I was an altar boy, did the whole thing. Latin masses too." Then, he spoke in Latin to prove it. He also said his family regularly went to Frisch's Big Boy after mass on Sunday. The Clooneys moved to Augusta, Kentucky in 1974. Ada and George attended high school in Augusta, but George returned to Northern Kentucky for college. In a 2006 interview with Parade, George said he floundered after graduating from high school. He tried out for the Cincinnati Reds -- didn't make it -- and went on to study at NKU. He never graduated. “I was good at a lot of sports,” he said. “I even tried out for the Cincinnati Reds baseball team. I’d been in a world where I was the best around, and then I went into a camp where all the best around met, and I was nowhere as good as those guys. They threw rockets. When I realized I was never going to be those guys, I could walk away because I’d at least given it a run. My greatest skill is probably understanding my own limitations. I think it's safe to say he has. Who was Uncle Al, and why was he taking young children out on his boat to make silent movies? Thought the same thing PAN. A gentleman in training. Isn't that Ada with the long brown hair? Thanks for posting Katie! I had not seen this video. But if anyone had it COH would! Guess I missed it here.